For the morning of her wedding, Poppy had hired a luxurious farmhouse bedd and breakfast near Bewdley in order to get ready, along with her bridesmaids and parents. The location was perfect for photography, with plenty of windows allowing the area to be lit exclusively with natural light. When it came time to get in her wedding dress, Poppy's bridesmaids were changing at the same time, leaving Poppy to get ready in the small bathroom with only her mother to help her! As soon as Poppy was in the wedding dress, her mother called me back into the room so I could photograph the wedding dress being tied. The room was so small though, I couldn't get in though the door! As you look at this image, outside the image to the left is a sink, and to the right is a chest of draws and a loo! I sandwiched myself between the frame of the door and a heated towel rack, and proceeded to shoot away. 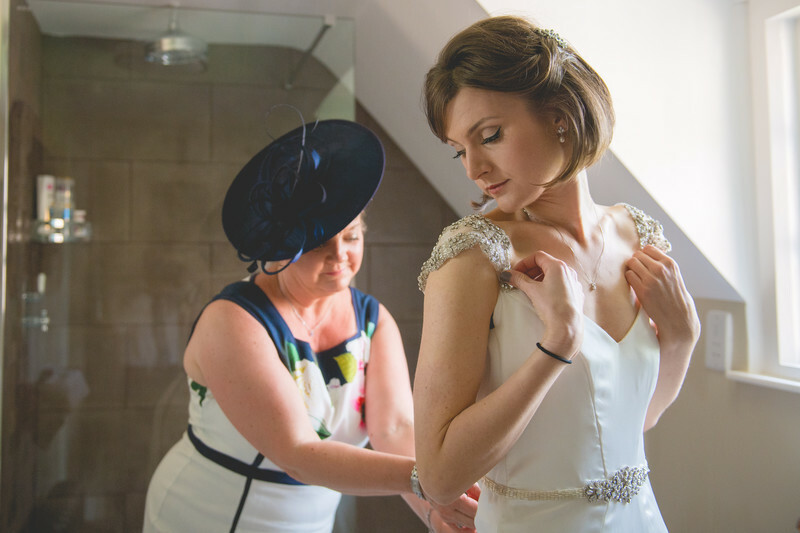 I really like this photo, showing a natural moment with the mother of the bride tying her daughter's wedding dress - a traditional moment on the morning of a wedding, albeit a duty that's usually undertaken by a maid of honour of bridesmaid these days. One of the most beautiful moments of this wedding came when the father of the bride got a first glimpse of his daughter, seeing her in her wedding dress for the first time. 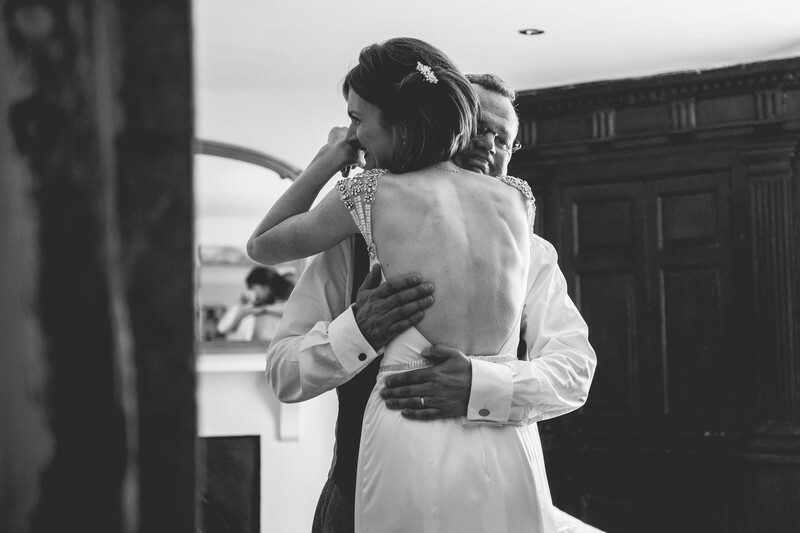 The emotion here was easy to see, and this is one of my favourite ever documentary wedding photos.